Stay inside all winter? You've gotta be joking! If you think about it, winter is ripe for mischief. There's sledding hijinks, snowman opportunities, and snowball fight escapades. All this nutty nonsense shouldn't be paused just because of the pesky cold! Your little one can take full advantage of the fun when she's wrapped up in a warm puffy jacket. 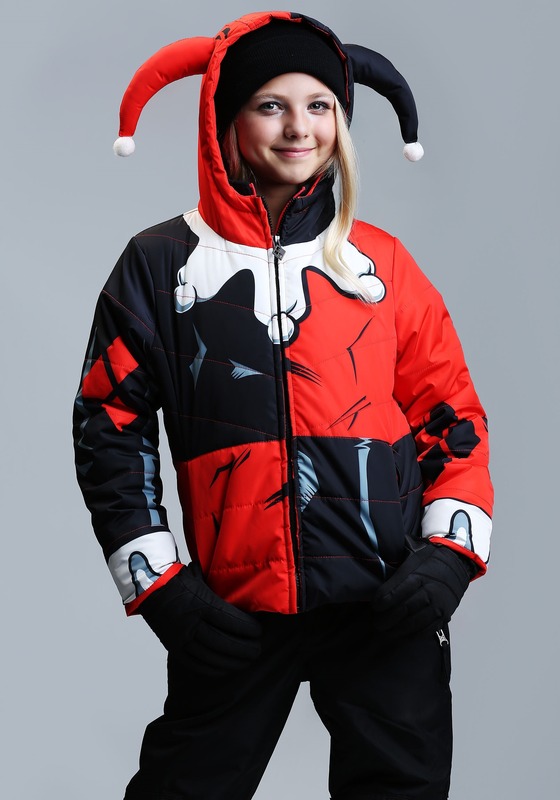 Your zany kid will be cozy in chill temps when she's wrapped in this FUNwear exclusive HARLEY QUINN™ jacket! 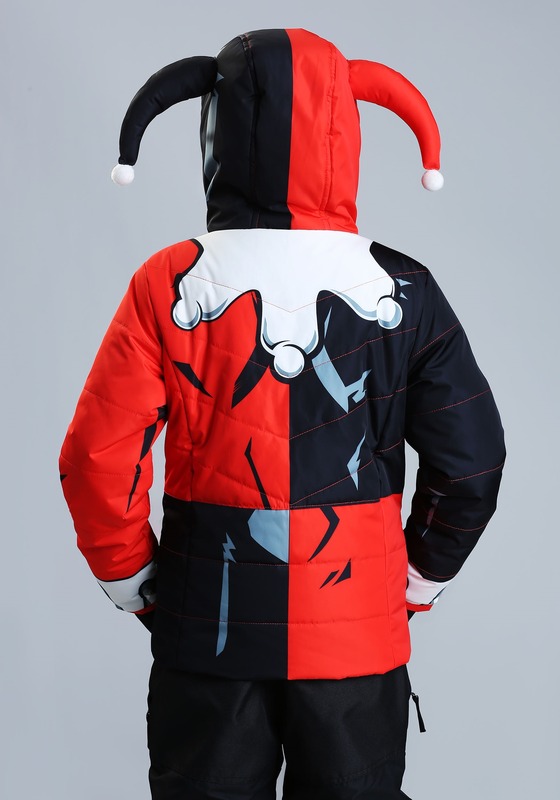 It's festive with the classic black and red diamond jester pattern and a white clown collar and cuffs around the sleeves. Your kiddo will love the black and red tassels on the hood! Whether your little one is sledding on the slopes or waiting for the school bus, winter fun will be right around the corner! 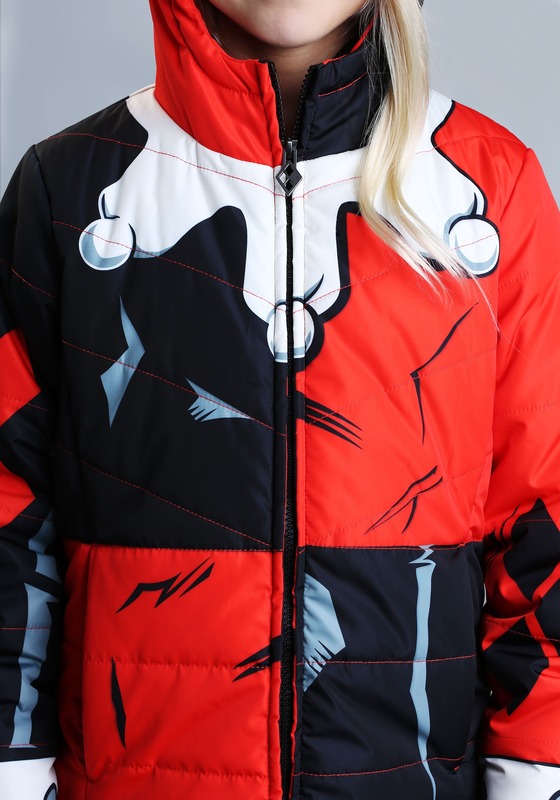 Front custom Harley Quinn zipper. Jester horns with pom poms attached to hood.